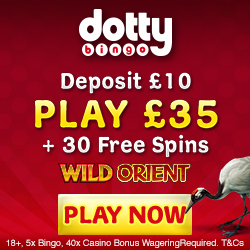 Shiver me timbers, Mobile Bingo Bonuses have only gone and done it again, we’ve got yet another slot game from Microgaming that will have you counting the pieces of eight all the way to the bank, Loose Cannon Slots is the latest in a long line of high quality games to sail across the casino floor. Batten down the hatches because you’re about to be taken on a roller coaster ride across the high seas as you set sail in search of hidden treasure and riches beyond your wildest dreams. 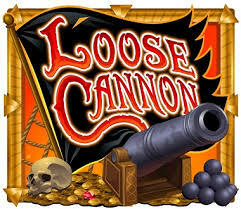 Loose Cannon Slots is a 5 reel 243 ways to win game that offers up big jackpots and a boat load of special features, the game brings to life a swashbuckling theme thanks to the colourful cartoon style pirate images which depict everything you would associate with a typical pirate adventure. On this adventure you will find male pirates, female pirates, cannon, a monkey, a pirate’s booty and a treasure map, but it just wouldn’t be a pirate’s life without the obligatory bottle of rum. To begin your pirate life all you need to do bet as little as 0.30, which can then be increased to 0.25 per line and five coins per spin if you really want to pillage the jackpot. If you’re a multi taker you can set the game to Auto-Play, in which you can choose from 5, 10, 15, 25, 100, 250 or 500 spins. 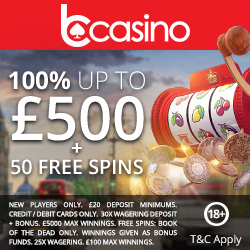 That just leaves the scatter symbol, which is represented by a compass, when you see three compass scatter symbols on reels 1, 3 or5 you will receive 15 bonus spins, receiving additional scatter symbols during the games will trigger further spins and even more chances to win. 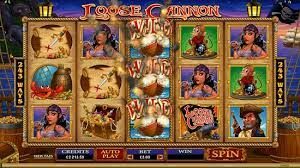 Loose Cannon slots is yet another example of Microgaming’s quality when it comes to video slots that offer a multitude of winning chances, so weigh anchor and hoist the mizzen as the fire of the bonus cannon is just a spin away.